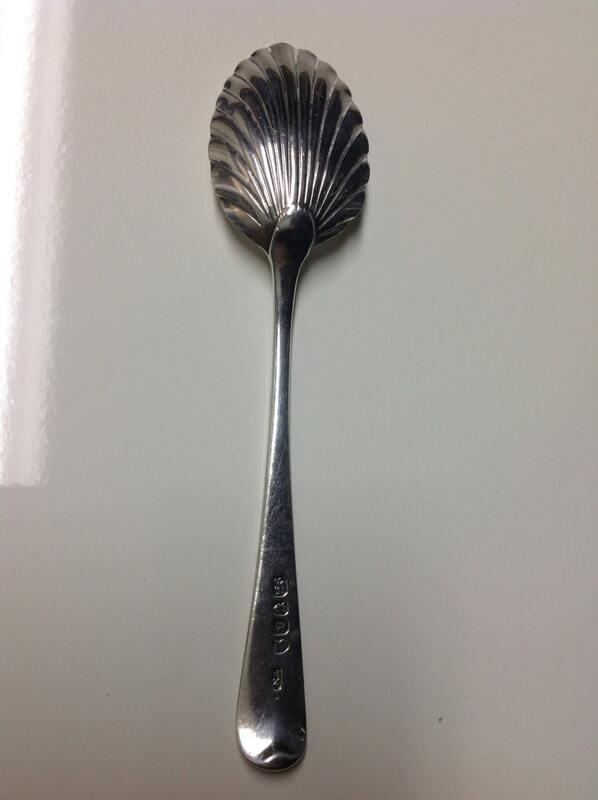 1794 sugar spoon by London maker, Thomas Northcote. 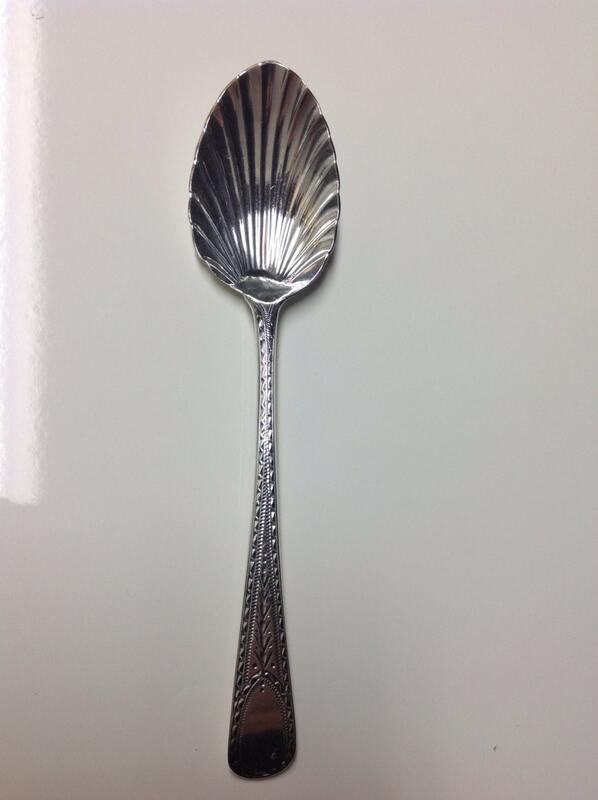 This one is hand engraved with a gorgeous scalloped bowl. I won't probably ever see another like it-- just gorgeous. 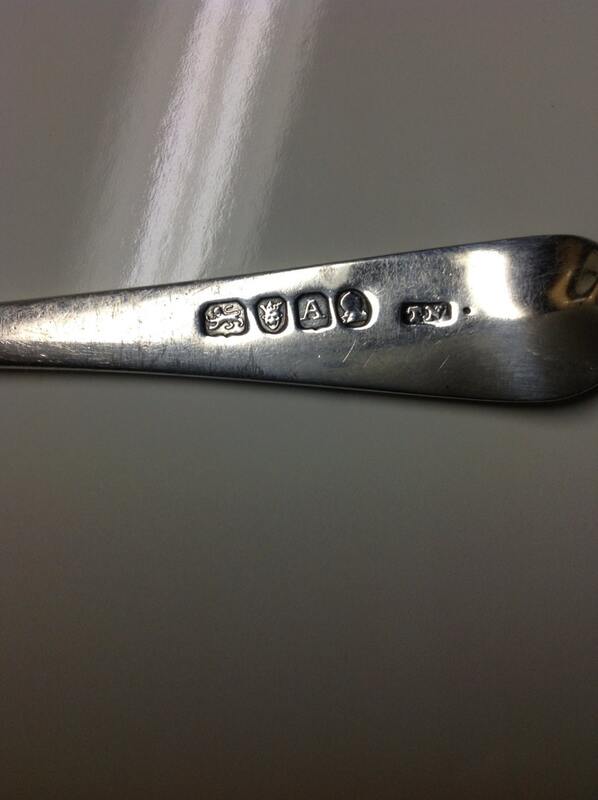 Sugar spoon in very good condition with crisp marks and very light normal surface scratching. No monograms. Weight is 37 grams and length is 6.6". Rare.